Volkswagen Taigun has now become the latest carmaker to join the mini-SUV war. The carmaker has recently revealed its concept SUV Taigun at the Sao Paolo Motor Show in Brazil. 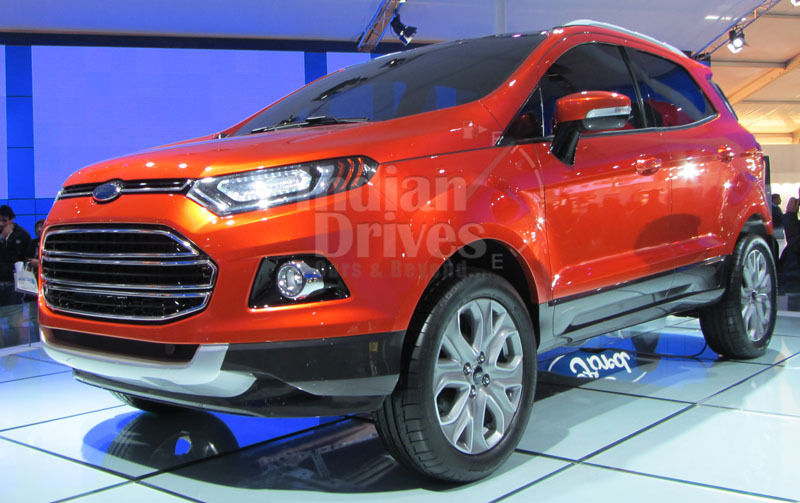 The concept strongly hints of a model that has been made to rival Ford’s EcoSport. The production model of Taigun will serve as a base for a whole new SUV series from Seat, Audi and Skoda. 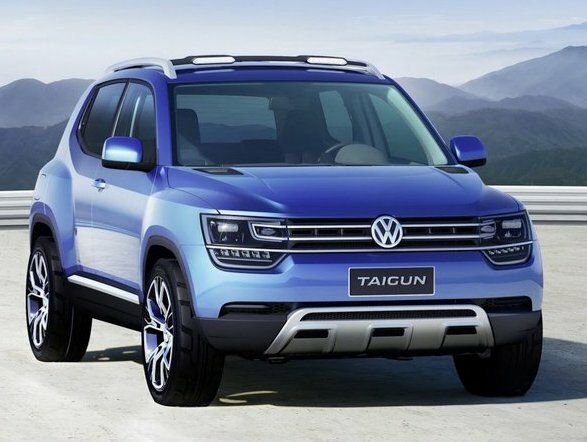 VW’s R&D chief, Ulrich Hackenberg told that Volkswagen Taigun will be sold worldwide. Klaus Bischoff, VW Design Chief, said that the vehicle is logical, clean and confident. He also adds that the vehicle is more rugged and technical advanced than Tiguan and shows off the future of VW. He adds that the SUV has been inspired with the smartphones; it is clean, aims at visual clarity and simplicity. The Taigun is mainly focused on the extended version of the VW’s small car platform. The SUV will not be featuring the 4-wheel drive option as NSF platform supports only front wheel drive but it is about 319mm longer, 81mm taller and 83mm wider than the Up. The concept shares the Up GT’s turbocharged 1.0 litre 3 cylinder engine with 108 bhp of power and 17.8 kgm coupled with a six speed manual gearbox. If VW India plans to launch Volkswagen Taigun in India, it is possible that it could be stretched further. According to Hackenberg, the Taigun can be stretched to a 4m mark, with an increased wheelbase. This will allow it to get more space, especially legroom at the rear seat. However the major glitch in the production of the Taigun is the feasibility of production of more products that includes Up! hatch, a possible saloon and MPV from the NSF platform. Volkswagen is already struggling to achieve cost reduction and for now its plans to produce Up! and its brother has been put on a hold. However, in the current scenario it is quite unlikely that the production version of the Taigun will be making its way to Indian market.